I have recently assumed the role of PUG leader, better known as the local Pictage User Group, a group of photographers that meets once a month in Portland to mostly talk about wedding photography, running a business and specifically, Pictage, as we're all subscribers to this online image hosting service based in California. Moving forward, we've decided that we would like to expand our group to not just Pictage users and to not just wedding photographers, but to all professional photographers in Maine who make a living behind the camera either full-time or part-time, and within every genre of the medium. We are hosting our first such gathering at the studio a week from today, June 14th, at 7p and would love for any and all local photographers to attend. The evening will feature a conversation with Peter Dennen, director of photography at Aurora Photos, who will discuss the elements of a great photograph (with examples). Please feel free to bring some of your own images as well if you would like to offer them up for group discussion. Other points of the evening to note: We will be ordering Portland's best new pizza, Otto, to munch on. And should we have at least 35 attendees, liveBooks has offered to give away a one-year subscription for a website (!). 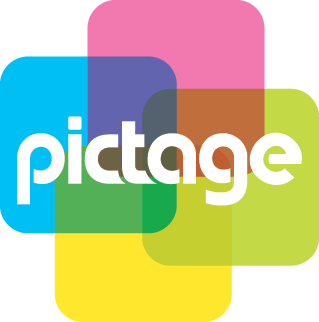 Pictage will give a $50 print credit (to a Pictage member only). Want to come? Be sure to RSVP (either to photo[at]emilieinc[dot]com or on our PUG blog). And remember, bring a friend or two so that we can gift someone a new website! See you soon! 227 Congress St, Portland (above the North Star Cafe). BYOB. introducing Sharon to emilie inc.